The Morrison government often lauds the way Australia has "smashed" its Kyoto obligations - but this was done by increasing pollution levels from the base measure. The "carryover credits" Australia received from these early climate deals are back in the news as the government plans to use them in the accounting of emissions to reach its Paris agreement targets. Government negotiators ensured the Kyoto agreement, which was ratified in 2007, allowed Australia to have net greenhouse gas emissions of 108 per cent of 1990 levels from 2008 to 2012. Australia beat this target because it polluted at a lower rate, meaning emissions by the end of the period were at 103 per cent of the 1990 level. That means the nation was given credits to carry over and use towards subsequent agreements. The Department of Environment points out other parties to Kyoto - including Iceland, New Zealand, Norway, Russia and Ukraine - also had a reduction commitment of 100 per cent or more. For Kyoto 2 - covering emissions from 2013 to 2020 - Australia pledged to cut greenhouse gas to 99.5 per cent of 1990 levels. 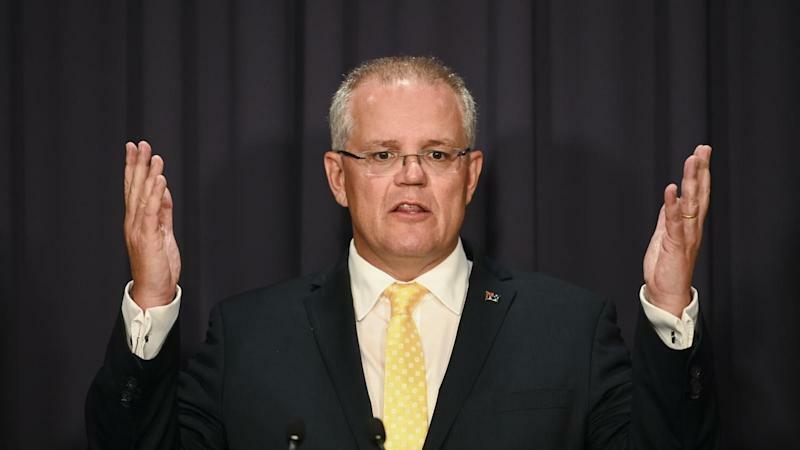 Prime Minister Scott Morrison has frequently lauded Australia's environmental credentials. "We smashed Kyoto 1. Kyoto 2 we will smash as well and as I've said to you, 2030, our target of 26 per cent, we will meet in a canter," he told the National Press Club last month - and has made similar remarks on many occasions. The coalition expects to meet its Paris target - a 26 to 28 per cent reduction on 2005 levels by 2030 - in part through a 15 per cent reduction created from the carryover credits. Investor Group on Climate Change policy director Erwin Jackson says the practice of using credits from the Kyoto deals has fallen out of favour with other countries. "It's become an excuse for countries not to actually do anything about investing in renewable energy or reducing energy waste," he told AAP. "The use of these credits doesn't create any incentive for this government to actually knuckle down and make the investments we need." Mr Jackson says using the credits will delay the inevitable and have a greater long-term cost to the economy. "The less we do to reduce emissions, the more we've got to pay to clean up the mess climate change will cause," he said. Labor is still taking advice on whether or not they will do the same accounting trick to reach emissions targets. Energy Minister Angus Taylor reckons it would be "apocalyptic" if Labor doesn't, but the opposition insists it's being careful. "The government's own data shows carbon pollution levels have been rising since the election of Tony Abbott as prime minister, and emissions will continue to rise all the way to 2030," Labor's energy spokesman Mark Butler told AAP. The Australia Institute's climate and energy program director Richie Merzian says the government put the Kyoto target "a metre in front of the goalposts". "The European Union's environmental policy spokesman Peter Jorgensen said at the time that Australia's efforts during the Kyoto protocol negotiations were 'wrong and immoral'," he told AAP. "It is not something we should be proud of." But Environment Minister Melissa Price inisisted this week the carryover credits were "really good news" for Australia. "It means we've over-achieved," she told Sky News. "We're entitled to use carryover and that's what we're going to do."